The rules of Ballistic Overkill are simple: kill or be killed! Choose a class, grab a gun, and get shooting. With seven classes, ten maps, four game modes and over 80 weapons there’s plenty to feed your FPS cravings. Classes include berserker, vanguard, wraith, shadow, grenadier, tank and marksman; so whether you prefer to be a stealthy assassin, a ranged specialist or an explosives maniac they’ve got you covered. 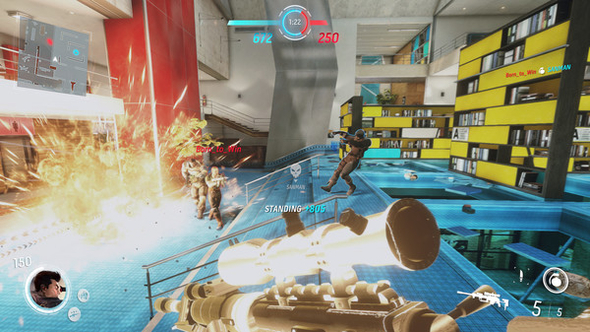 It’s got a ‘very positive’ rating on Steam and strong preview write-ups, so if you’re looking for a new shooter to sink your teeth into, look no further. We’ve got 50 keys to giveaway, so for your chance to win a Steam code for Ballistic Overkill just enter via our widget below. Each action is worth one entry, so the more you do, the higher your chance of winning. We’ll also need your email address to send your code if you’re one of the lucky ones – we promise there’ll be no spam!